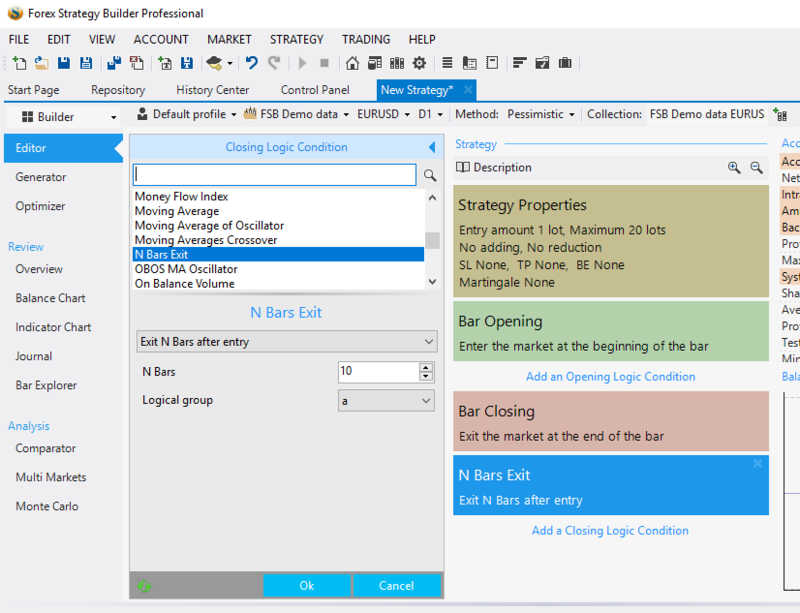 Forex Forum → Forex Strategy Builder Professional → N Bars Exit Indicator? Topic: N Bars Exit Indicator? This indicator has disappeared from the Opening/Closing Logic condition list. Know why?? I know it was there a few weeks ago. Re: N Bars Exit Indicator? I'm also wondering. Please someone post code for calculating N bars Exit. Thank you. N Bars Exit indicator is in the Closing logic conditions. Please note that you need Bar Closing to be set as Closing Point.